The dungeon is an area requiring highly enchanted gear in order to survive. Inside the dungeon you’ll find a multitude of legendary mobs which each have been drastically buffed with special abilities such shielding, speed buffs, heavy damage. Additionally, all monsters have received a permanent aura of fire resistance. The dungeon consists of two major areas. In the middle is the processing plant, which consists of three types of chaos monsters. Outside of this, you’ll find seven smaller caves which hold additional types of monsters including pyromancers, banshees, sorcerers, and many more. Killing monsters in the dungeon can award you a great deal of money, extremely rare township drops, and experience in the dungeoneer job. Each number represents a custom mob area, the number increasing, means the difficulty of the mob also increasing. 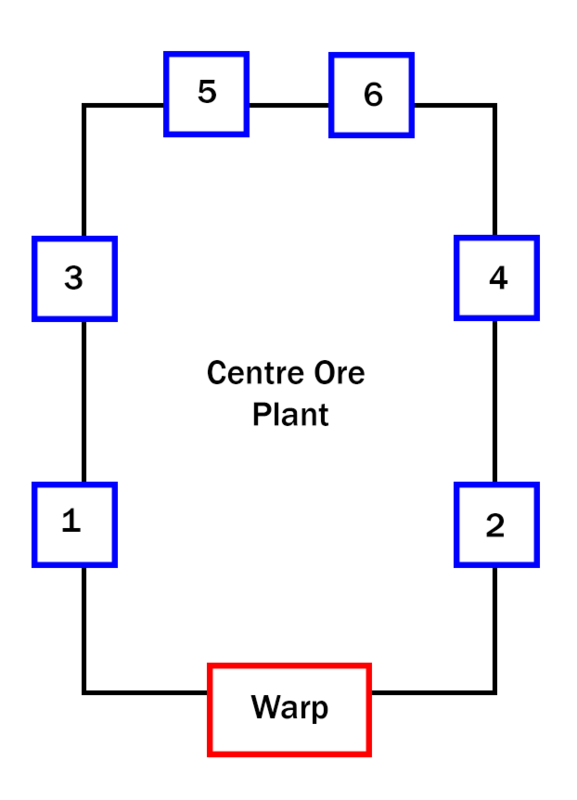 The main "ore plant area" will have group spawning.